Northern Knights have won all of their last four matches against Auckland Aces. They beat the Aces by just two runs in the reverse encounter. Defending champions Northern Knights have established their dominance over the league and are at the top of the points table with seven wins from eight matches. Auckland Aces are a couple of spots behind at the third place. They have won four matches, three of which have come in the last three games. New Zealand have dropped Colin Munro for the last two ODIs against India. This means that he will be available to open for Auckland Aces. Although Munro is out of form, he remains a quality batsman and the team would be boosted by his comeback. However, the Aces will still not be able to avail the services of Lockie Ferguson and Martin Guptill who are both with the national team. Glenn Phillips is another batsman who has been in form and hit a half-century in the victory against Canterbury Kings. Craig Cachopa also made 73 against Otago Volts. With the ball, Mitchell McClenaghan has featured only in five games but has made his worth known by picking up 12 wickets. In the last game, Matthew Quinn also bagged a four-wicket haul against Canterbury Kings and now has nine wickets from six matches. 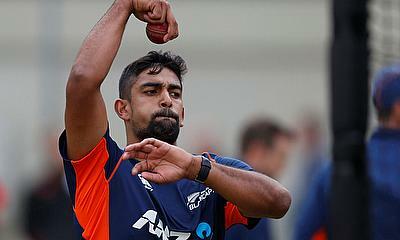 Like Munro is back for the Aces, so is Ish Sodhi for Northern Knights, after being dropped from the national ODI side. Brett Hampton was the team's top-scorer in the last game and scored a 31-ball 64. Daryl Mitchell made 78 in the reverse encounter and would be another batsman to watch out for. Mitchell has 281 runs in the tournament. Kyle Abbott is their leading bowler.